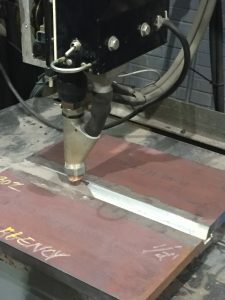 Submerged arc welding is typically done automatically, meaning it is not done by hand but rather it is set up as hard automation. 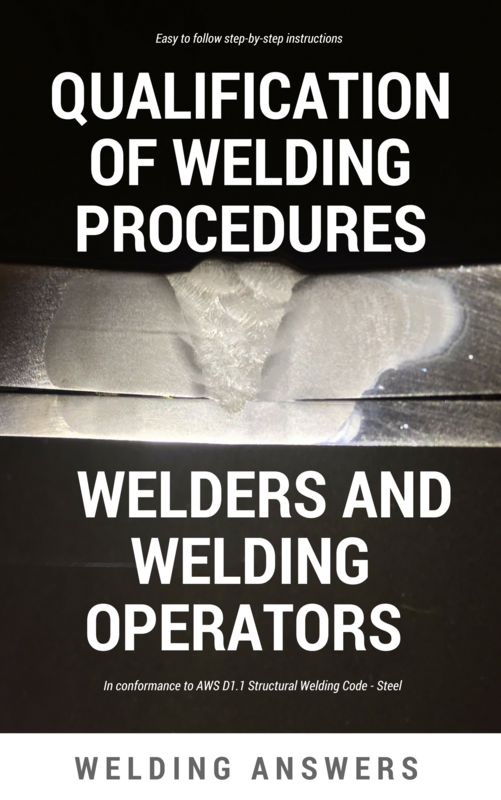 The operator simply controls the welding machine and torch position to obtain the desired results. Typically the system is run by an operator and not a welder. So when problems arise the operator may not have the experience necessary to troubleshoot a weld and make the necessary procedural adjustments. Porosity is a common problem which at times becomes hard to troubleshoot. Many times we think nothing has changed in the process, but if we take a close look at all the variables we can typically identify the reasons behind porosity. Below is a list of the most common causes of porosity in submerged arc welds. By going through this list you’ll notice that most of these issues can change without your knowledge. Whenever porosity becomes a problem go through the list below to correct the issue. Poor grade of steel – The chemistry of steel typically has a very miniscule effect on porosity except for one element: sulfur. This is especially a problem when welding free machining steels. Increasing sulfur content increases the machinability of steel, but can create problems when welding. Even when sulfur content is within the allowed ranges it can be an issue due to segregation. This means that sulfur is not evenly distributed throughout the steel, but can accumulate in certain areas. If you are facing this problem you have the following options: minimize admixture by using lower currents to penetrate less (not always an option) or travel slower to allow more time for the sulfur to degas. Joint cleanliness – Even with the high heat input provided by the SAW process joint cleanliness is very important. 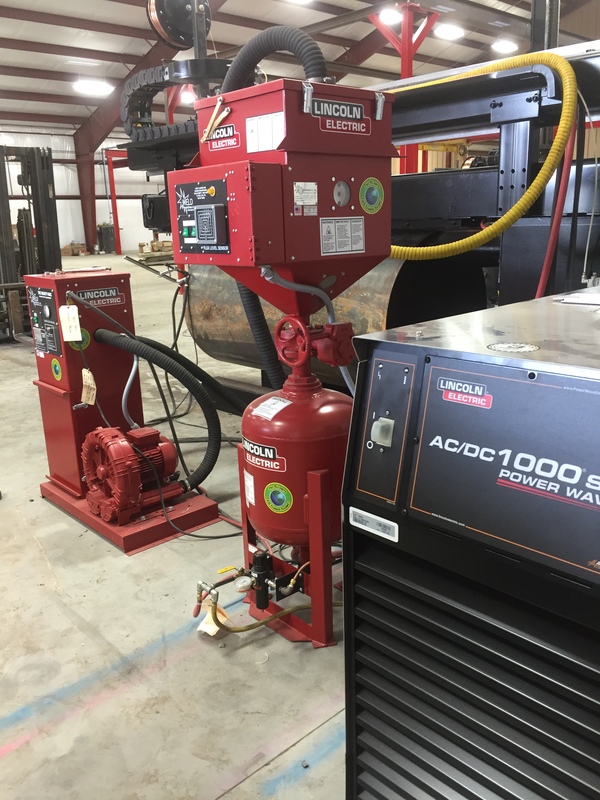 Rust, oil, paint and other contaminants can cause porosity in submerged arc welds. Clean the joint properly to remove any contaminants. The same cleaning done on procedure qualification plates should be done on production joints. Flux contamination – If flux is not properly stored it can pick up moisture and be contaminated with other elements which can cause porosity. When a flux recovery system is used it is very important to make sure that no slag is being picked up. Having a magnetic separator is also a good idea as it will not allow metallic particles to contaminate the flux. Lastly, it is important to mix new flux with the recovered flux, a 50/50 mix is ideal. Flux recovery systems should include filtering screens, magnetic separators and a way to add virgin flux to maintain an adequate mix of recovered and new flux. Electrode contaminations – Like flux, wire that is improperly stored can pick up moisture which will cause it to rust. Rust will increase the chances of getting porosity so it is vital that proper storage procedures are followed. Don’t forget about the coils of wire sitting on the equipment. 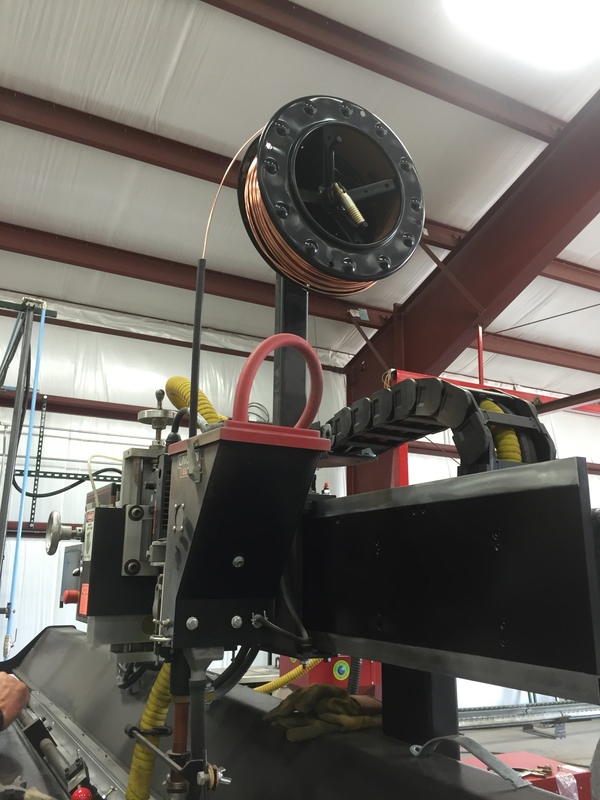 When a coil of wire remains on the wire feeder over a weekend it can pick up moisture and start to rust. 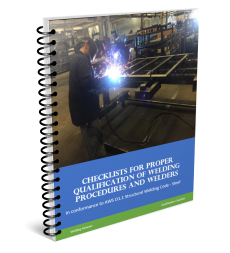 Welding wire left unused on the equipment can become contaminated if it sits for too long. Insufficient flux – Flux provides atmospheric shielding similar to what shielding gas does for GMAW. If there is not enough flux to shield the arc porosity can occur. However, it is important not to use an excessive amount of flux as it can affect bead shape. Insufficient flux coverage typically occurs on roundabout welds. The smaller the diameter of the part the harder it is to prevent flux spillage. It is not recommended to use SAW in outer diameters of less than 6 inches. Tack welds – If tacking is done with stick electrodes or FCAW wires it is necessary to properly remove the slag. Slag left in tack welds can create porosity when welding over them with SAW. Don’t assume that welding over a little bit of slag trapped on toes of the tack welds will remove it from the joint. Arc blow – Arc blow is caused by magnetic fields induced by the welding arc. These magnetic fields mayl cause the wire to “wander” and create an erratic arc. To reduce or eliminate arc blow weld away from the work connection (ground clamp) or switch to AC polarity if feasible. Travel speed – Higher travel speeds are more susceptible to developing porosity due to faster weld solidification times. 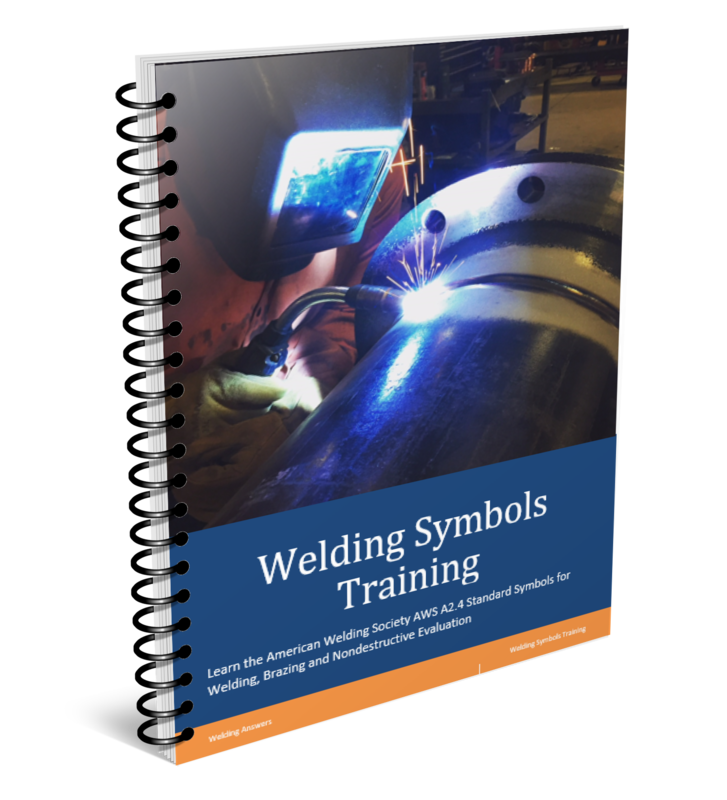 The longer the weld puddle remains molten the longer the gases generated by welding have to escape the weld. There are other causes for porosity but the above eight usually account for about 90% of the causes. And what to do to prevent the same..? affect of porosity on weld.